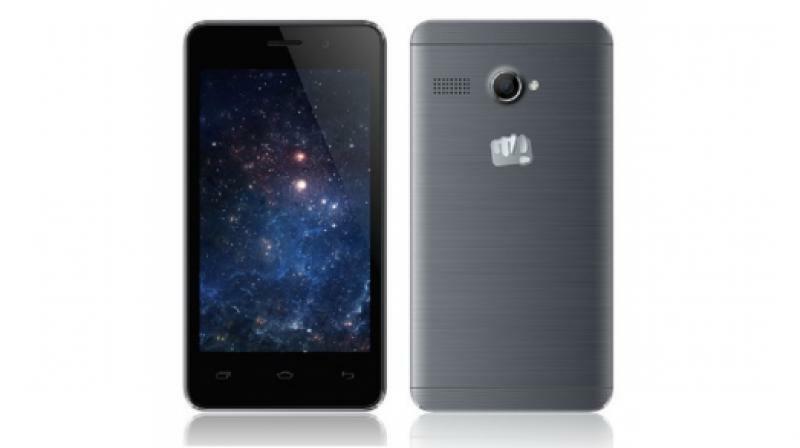 The smartphone is available on ShopClues with a discount of Rs 2,500 and is priced at Rs 3,499. The product also features easy returns via the ShopCluesBuyer Protection programme. ShopClues has launched Micromax Bolt Q326+ exclusively on its platform at a price of Rs 5,999, the smartphone is available on ShopClues with a discount of Rs 2,500 and is priced at Rs 3,499. The 3G smartphone comes loaded with Android Lollipop 5.0 OS that operates on a 1.3 Ghz Quad Core Processor. Micromax Bolt Q326+ features a 4-inch screen protected with Corning gorilla glass along with a 5MP primary camera with 8 GB storage and 1 GB of RAM. The Bolt Q326+ smartphone is available in Grey and Champagne colours on ShopClues. The product also features easy returns via the ShopCluesBuyer Protection programme.